Whether you are looking for a single room, whole house, or theater experience, we can help bring together the experience you are wanting to achieve. Enjoy the media content in your home from any location with the simple press of a button. Smart media control gives you simple access to your favorite shows, movies, and music regardless of the content source: cable/satellite, stored on a server, or streamed from the internet using your home network. Superior Sound is our STANDARD. We know sound and we know speakers. Bring the movie theater right to your living room and experience quality sound as it should be heard. Your home theater environment should be precisely designed to provide maximum movie and music enjoyment. At World Class PC, we are dedicated to deliver just that. We place a strong focus on audio and lighting technology, but do not stop there. Secondary lighting, screen distance, furniture location, speaker/subwoofer placement, audio paneling, and more will be considered as we help you design the perfect home theater. Turn it up... without waking the kids. 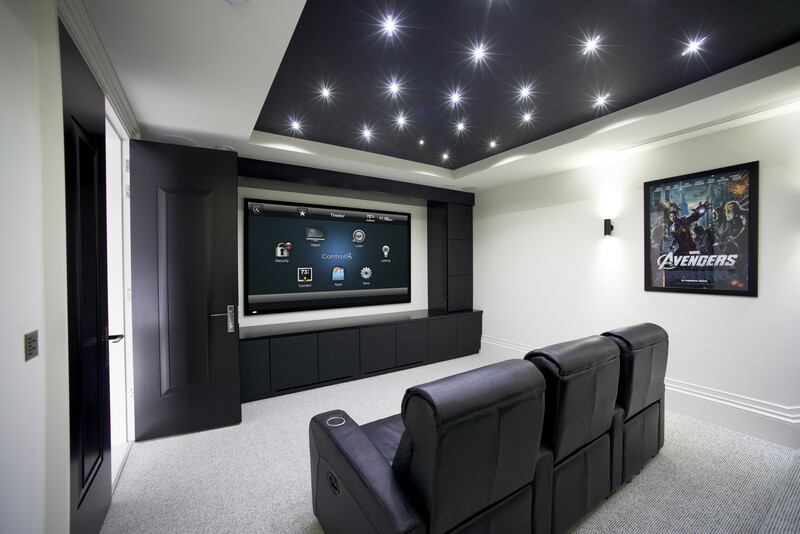 Keeping the sounds where they should be & maximizing your home theater experience is our goal. Acoustic panels aren’t always the main event, but they work hard behind the scenes.